While there are many sub species of bearded dragons this article will focus on the one most common to the pet trade and breeders. The inland bearded dragon (Pogona Vitticeps) is native to central Australia. It commonly inhabits arid woodland and semi-desert areas where there is plenty of cover. The bearded dragon belongs to the larger classification of lizards know and Agaminae. Lizards of this sub-family are known for spiny scales around the throat and back of head. 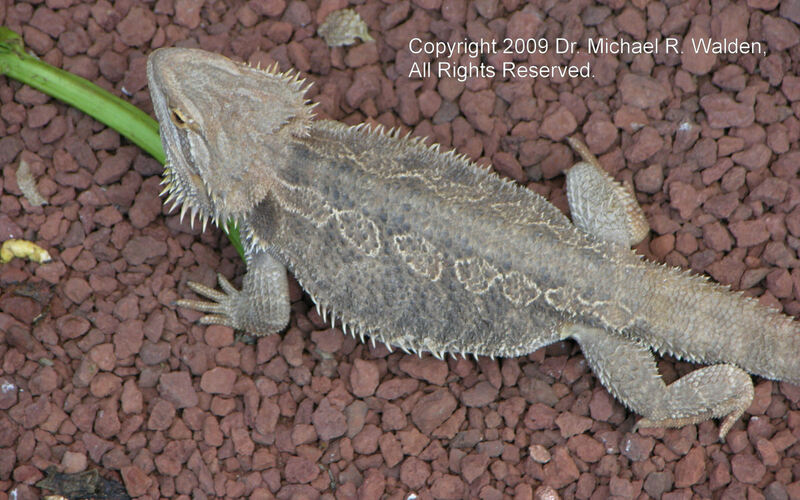 Like other Agaminae the bearded dragon can expand or "display" these areas when threatened. It does this to appear larger and more threatening to it's perceived threat. The breaded dragon has been breed in captivity for may years and many of the animals available for purchase come from private breeding stock. This has also allowed for a variety of color and specialty variation to be available. Depending on the rarity of the color pattern variation cost can range from $35 up to $1000 or more. Standard: The standard variation will have a pattern of browns and tans with a mostly white underbelly. As the animal mature the darker browns will fade into shades of lighter browns and tans. Citrus: This is one of the most common variations. 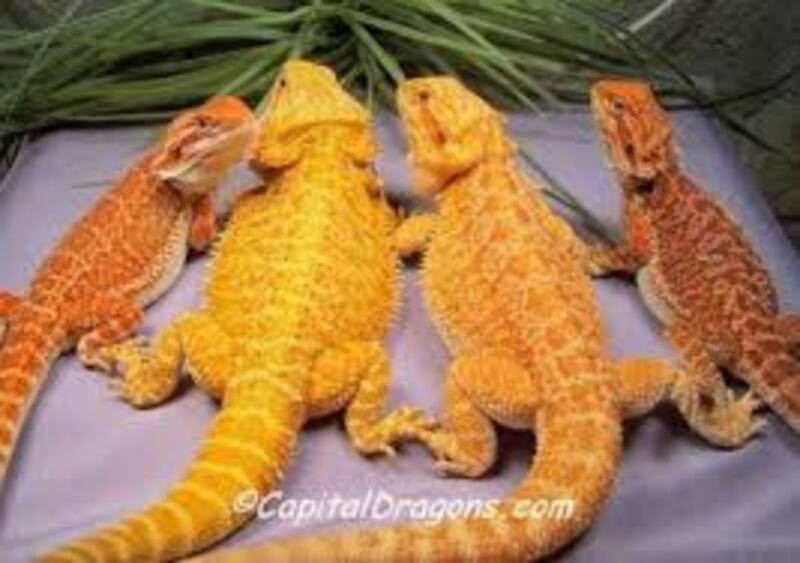 A juvinile citrus bearded dragon will show Higher levels of Yellow and Orange along its center line. This may also display in higher concentration of orange and yellow on head marking around the jaw. As adults they can develop into bright yellow individuals with high levels of orange in and around the bread. Fire or Sand Fire: This is a trait similar to Citrus but leaning more to Reds and Oranges then yellow. High quality fire dragons can be such an intense orange that they look like they are well... on fire. Blue: Rare but growing they have developed strains that are very high in blue. As young juveniles they can be very intense blue, but it fades to a lighter blue/gray as the bearded dragon matures. Pie Balled: Pie Balled is a trait that exhibits complete lack of pigmentation in blotches. The breaded dragon will appear normal with clearly defined patches that are white as snow. Translucent: Is just want is sounds like. The lighter areas of the bearded dragon are lacking enough pigment to be somewhat see thought. In some rare cases they are so translucent that you can start to make out some internals. This is most dramatic when mixed with out next trait. Leather back. Leatherback: The leatherback trait creates a bearded dragon with a greatly diminished number of spiny scales. Both around the head and remainder of the body. The leather back can take on a very smooth and soft velvety texture. Many times breeders can combine and mix traits into combinations, like translucent leatherback. As new combinations are made we can be certain that more options will be available for purchase. Size: A male bearded dragon can grow up to 24 inches in length tip to tail. While this is possible many males top out around 20 inches and females slightly smaller at 18 inches. There is breeding stock know as German Giants that regularly reach and exceed 24 inches but these have been less common in the pet trade recently. Juvenile bearded dragons are the most common age group for sale. You can frequently find a large group of them together in a 10 gallon aquarium waiting to be taken home. So how can you be sure that the one you select will have the best chance at thriving? Look for the dominant ones under the lighting or perch. Bright clear eyes, not hazy or crusty. Should appear to be bright, alert and curious. Count the fingers and toes look for signs of infection on toes. Tail should look full plump and not broken. Should not be overly aggressive when picked up. Ask to see them eat, look for active aggressive eaters. It is not uncommon to see adult or sub adult bearded dragons for sale. These come from 3 main sources. Each can have their own problems to be aware of. However that does not mean that adults should be avoided. In fact the right adult can be a pleasure to own. Wild Caught: I would recommend avoiding these as a novice keeper. Often they come with internal and external parasites. The stress of captivity will cause a seemingly healthy animal to decline in condition quickly. A reputable shop will treat these animals with anti-parasite drugs and provide a health screen, but sometimes even with this they need secondary follow-up care. 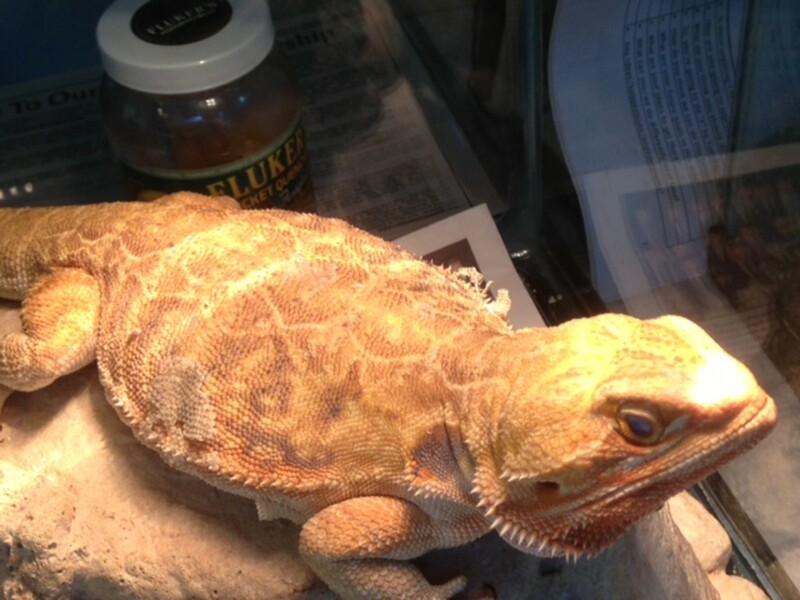 Previously Owned: Bearded dragons can be easy to care for, but are not for everyone. That little cute lizard will grow up into a substantial lizard requiring more food and large housing needs. Sometimes unexpectant owners will bring their growing lizards into store because they can no longer care for them, or do not want to invest into their new needs. With these you want to check health 1st. Are the alert? Is it active and aware of you presence? Is their tail plump with no hip bones showing? Is there mouth and nose free from mucus, sores or scars? Ask for a history on the animal. How long has the store had it? Where did it come from? How is it eating? Was there any medical care given? You will want to check temperament. 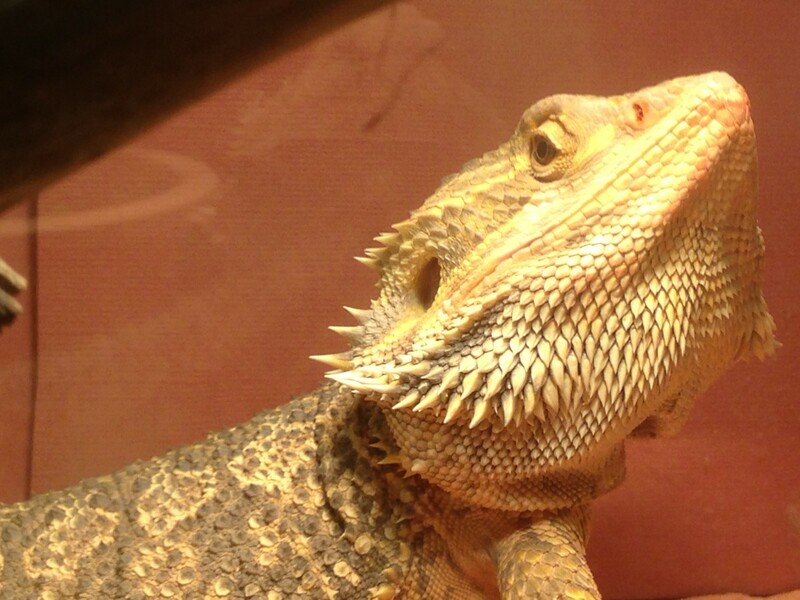 While bearded dragons, even wild caught are pretty docile, you will get the occasional bad apple. Ask to hold it, does it fight or lash out when trying to be picked up? Does it puff out it's beard and open his mouth in display? If so it is probably best to avoid this animal. From Breeder: From time to time stores will purchase older animals from breeders. These range from sub-adults to older retired breeding stock. 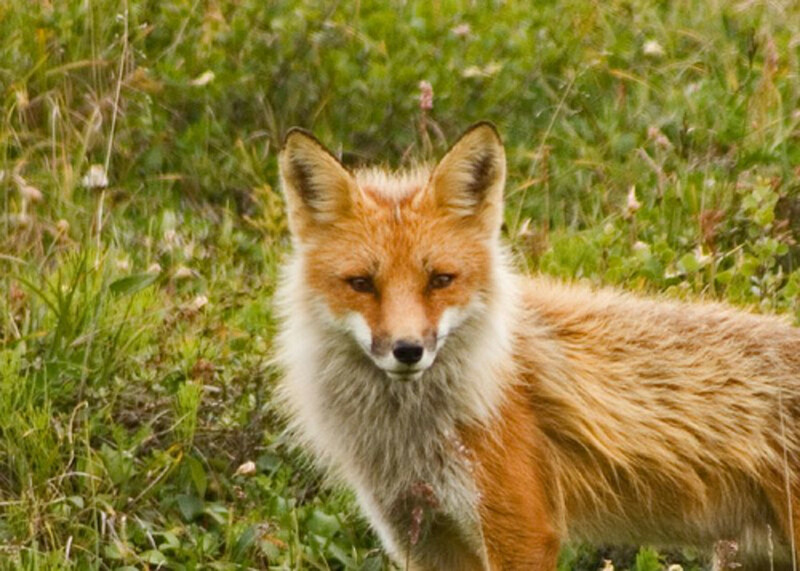 These are usually well taken care established animals. You want to follow the same checks as above, but usually their us less risk with these animals. Juveniles: The key to successfully housing a juvenile Bearded Dragon is simplicity. While the fancy set up may look good It introduces a lot of potential dangers and risks to your young bearded Dragon. Enclosure: Young bearded dragons can be housed in enclosures about the size of a 10 gallon aquarium. The enclosure should provide adequate ventilation without being overly drafty. They are desert animals and while fresh air is fine, cold or cool drafts can cause respiratory issues. 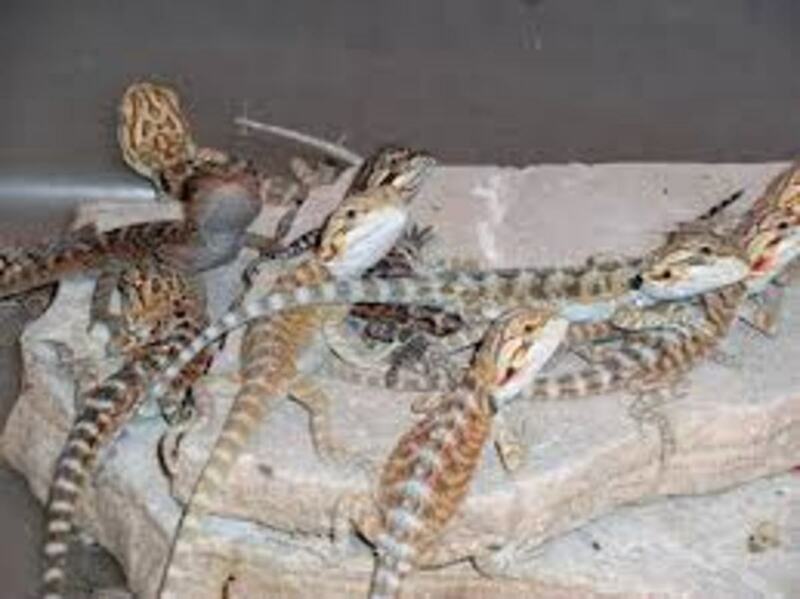 Until they reach sub-adult (6months) you can keep more than one bearded dragon together in a 20 gallon size enclosure. If you have multiple dragons that are males they can start to become territorial as they approach adulthood. This could leave to fighting for dominance if left together for long periods of time. Multiple females can be left together without issues. Substrate: Young bearded dragons are often aggressive feeders and run the risk of consuming whatever substrate is underneath their prey. Sand, bark and gravel are especially problematic as the lead to severe impaction and eventually the death of the bearded dragon. Some pet stores are selling recommending calcium sand for juvenile dragons, while safer than regular sand, young dragons can still consume too much very easily. I would caution against this until your dragon is older. Younger Bearded Dragons also have a fairly high metabolism and will process food very quickly. This can lead to a lot of poop and a lot of scooping and cleaning whatever material is underneath them. Again the key here is simplicity something like a paper towel, newspaper or brown butcher paper makes for easy quick cleanup of messes and lower risk to impaction for your dragon. Lighting: Lighting serves two purposes for your bearded dragon The first and primary one is heat Your dragons like all of the reptiles are cold-blooded and they need to be able to move in and out of the heated area to control their body temperature. If they are unable to do this they will possibly overheated and die. 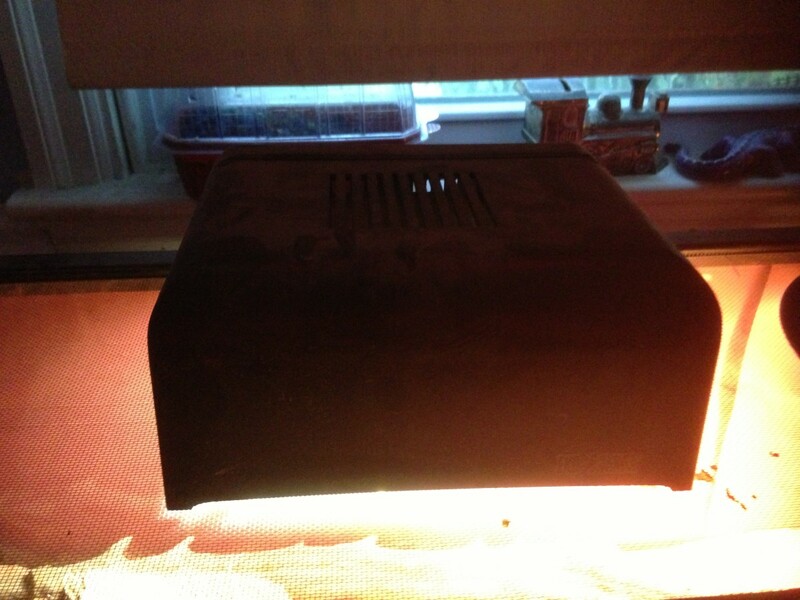 You want to provide a lighted area that warms a section of the tank to a warmer temperature than the other side. This allows the lizard to naturally move in between the temperature zones and control their body temperature as needed. You will want to consider purchasing a specially spotlight for this purpose. They're available at most at stores and focusing narrow beam that allows the lizard to move in and out and more finally regulate his body temperature. I use a dome lighting fixture that I also purchased at the local pet shop. For best results you want to keep this on a timer that closely mimics the natural daylight patterns of your area lengthening the length of time that it is on in the summer and shortening the length of time in the winter. Ideally you want this warm area to reach a temperature of about 105°F. The cool side of the tank can range anywhere from high 70s to mid 80s. The tank should be allowed to cool to ambient room temperature in the evening. 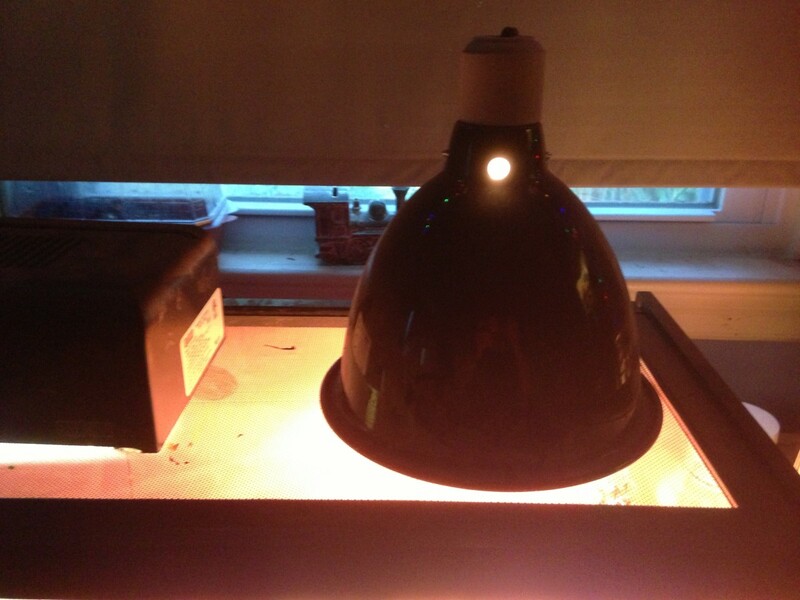 The second function of lighting for bearded dragons is vitamin D creation. All lizards cannot cannot obtain vitamin D by diet. They must create vitamin D from sunlight and allowing using the proper lighting will help them do this naturally. This is a separate full spectrum light that does not produce a lot of heat but rather emanates the correct radiation for your Bearded Dragon to process vitamin D. These bulbs are sold in a variety of shapes and configurations to fit most auxiliary lighting systems for aquariums. You want to check the distance requirements on the back of the bulb to make sure that you position it close enough for your bearded dragon to benefit. I like having a gradated perch under this light to allow the bearded dragon to mover chose his distance from the UV light. Without this special lighting your dragon could possibly develop a form of rickets causing deformation and in extreme cases death. Note: these bulbs have a short lifespan and should be replaced about every six months regardless of whether it is burnt out or not. Hibernation: Once a certain age is reached bearded dragons may start hibernation in the winter. Even if the artificial light does not cycle length of days, they may pick up other cues. This is normal for you lizard. You will notice them slowing down the amount of food consumed. 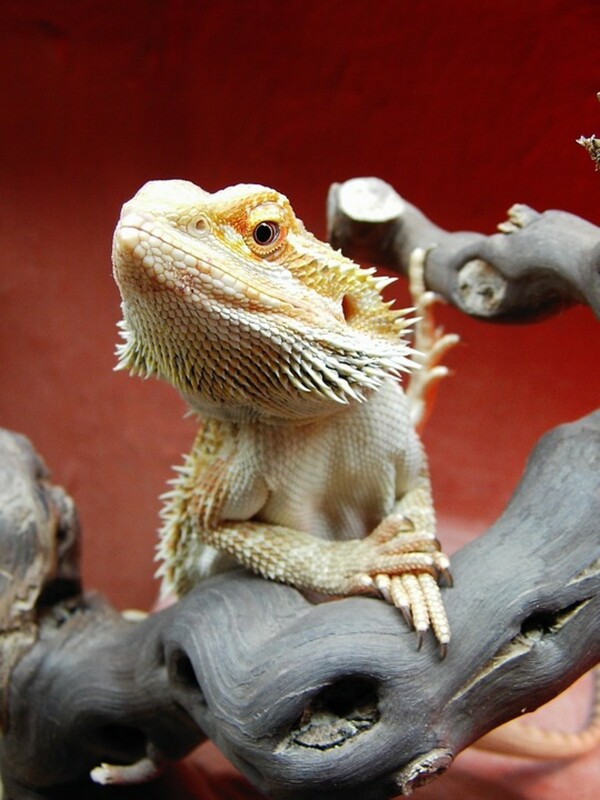 You bearded dragon will start basking less and will start spending more time under their shelter and sleeping more. They will increase the sleeping to awake time over a few weeks and may even sleep for a few days straight. During this time I cut back crickets completely. I will offer greens every few days, but often they are left untouched. Usually after 3-4 weeks of peak hibernation I will see an increase in greens consumed as well as an increase in basking activity. I will follow that with a few larger insect meals. Shelter and Decoration: You want to provide your bearded dragon something to climb on and something that will act as a shelter. They will look for places to feel secure when they are not basking in the sun. Popular options include artificial rock formations or hollowed out half logs that have been cleaned and sanitized and are commonly available in stores. When making your selection keep in mind that your dragon will being growing quickly in their first year. Food bowl: While not 100% necessary for juvenile bearded dragons a food bowl will certainly help to keep vegetables and crickets contained for feeding. The bowl should be the correct size to just contain the food and the crickets and allow the bearded dragon to climb in and out with ease. Water Bowl: We will cover this some more in the feeding section, but a water bowl is not needed for bearded dragons. 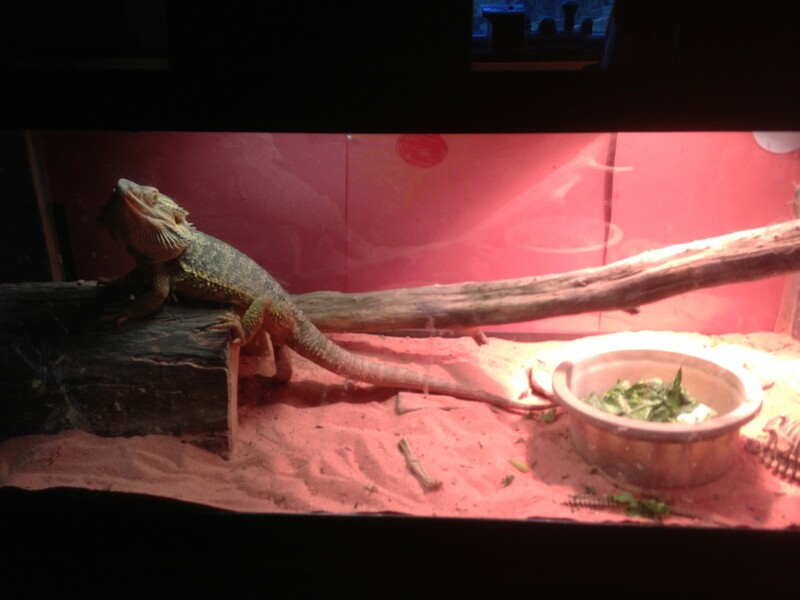 Security: I have seen many people keeping their bearded dragons in open top enclosures. Adults: Once your bearded dragon matures to adult size you can explore other decorative options. While I would not ever recommend plain silica sand or playground sand, it is now safe enough to use the calcium sand product mentioned above. Other options include river rock, slate tiles or slate pieces. Small gravel can still pose issues so us sparingly for decoration if at all. I prefer providing levels for your dragon to climb or hang out on and have had great success with layering rock to make climbing formations. Enclosure: For a single full grown male you will need at least a 30 gallon enclosure if not larger, depending on how much out of tank time you provide. While they are not arboreal you will want to select an enclosure with some height as they do like to climb a little from time to time. You could keep 2-3 females in a 55 gallon or larger. Never keep two males together as they will clash over territory. Never ever mix adults and juveniles, simply put juveniles are on the menu. For adults the lighting and food bowl and security requirements are the same. The general diet for juvenile and adult bearded dragons is the same. The content and frequency changes slightly as they reach maturity. 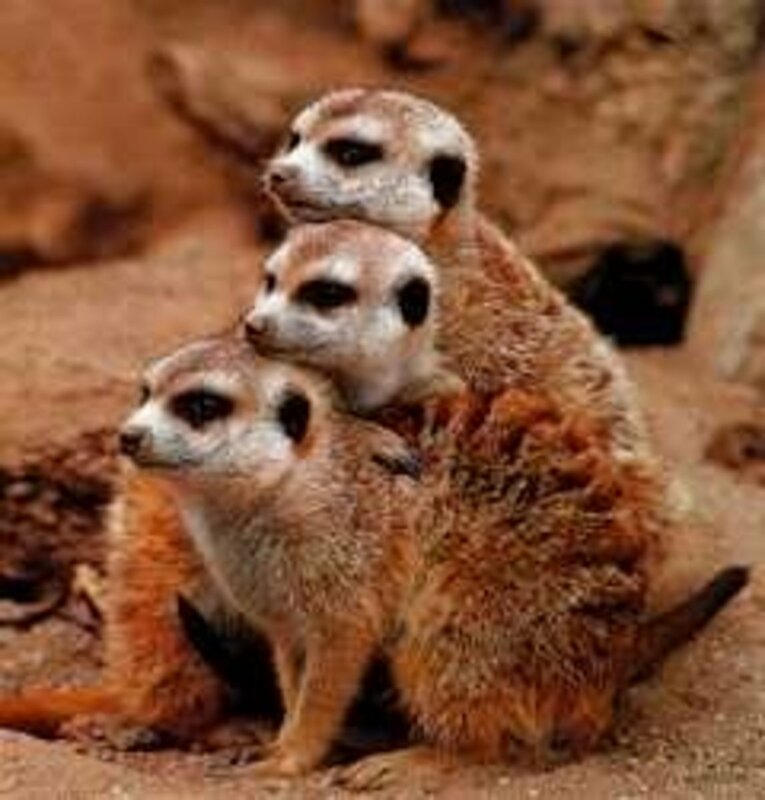 They are mostly carnivores feeding on a variety of insects as they age they take in more vegetation. Since bearded dragon come from arid environments they do not naturally drink water. Their water needs are satisfied from the foods they eat. The Basics: You staple food items will be crickets and romaine lettuce. Store bought crickets can be nutritionally deficient and should be dusted with vitamin powder or gut loaded. I prefer gut loading over dusting but both are viable options. 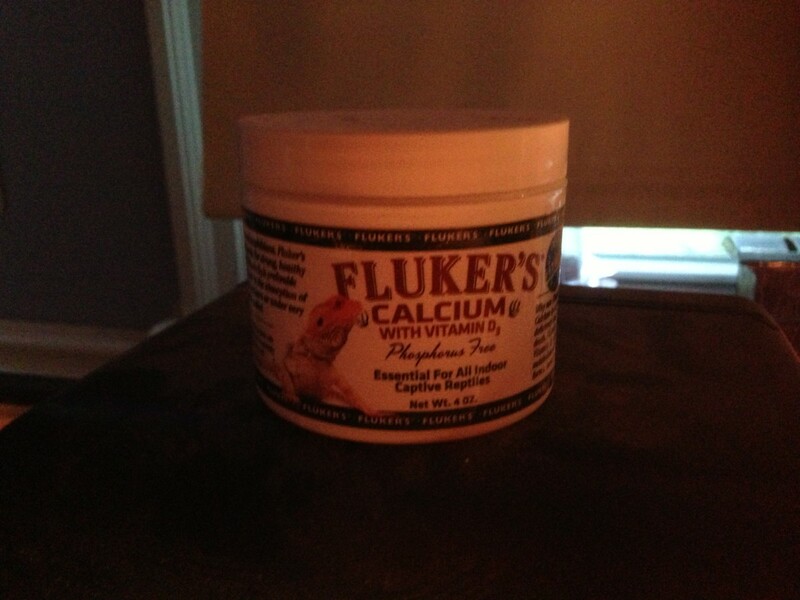 Dusting: You can purchase a reptile formulated calcium vitamin supplement from most pet stores. A light coating on you crickets or green is all that is needed. Don't overdo it. Too much of a good thing is a bad thing. 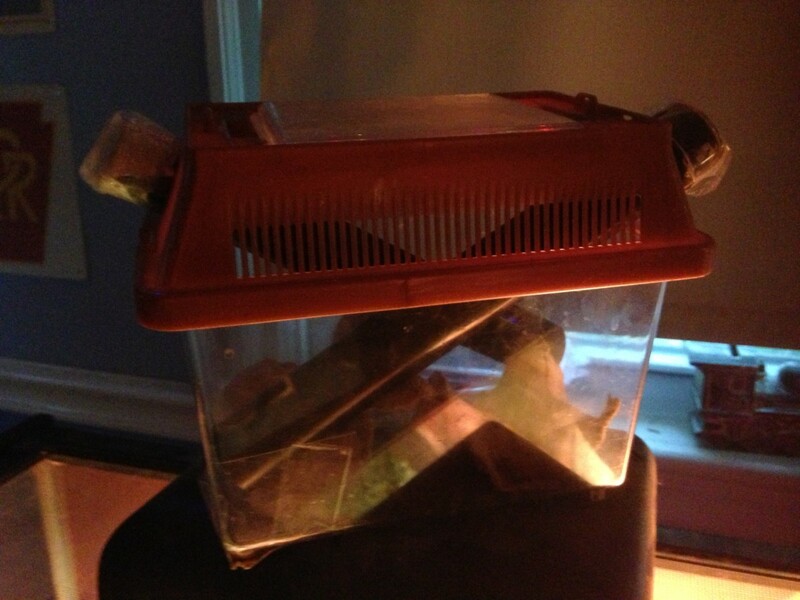 Gut Loading: I find it helpful to buy my crickets in advance and store them in a cricket keeper. 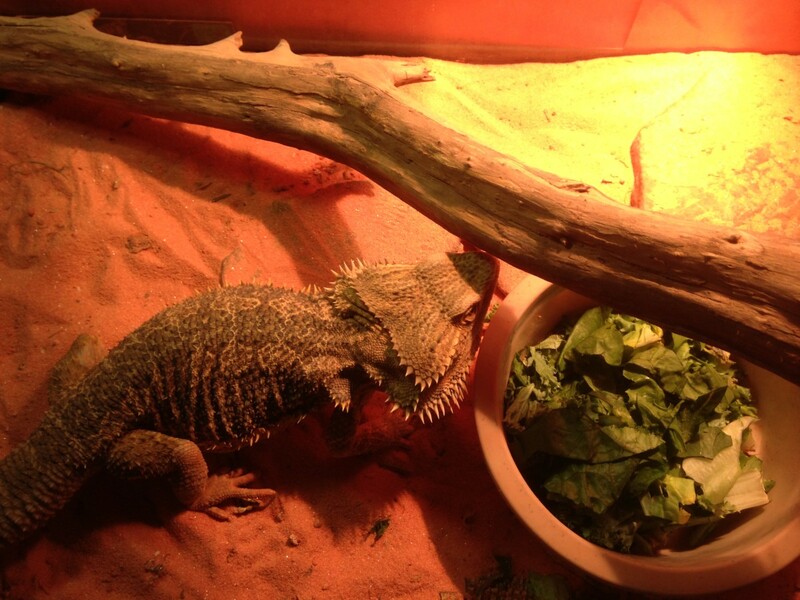 I place fruits, vegetables and greens for my crickets to eat so that when consumed the bearded dragon gets the benefits of the nutritional content in the crickets stomach. Crickets will eat a wider variety of foods then bearded dragons will on their own, so the nutritional profile of gut loaded crickets is broader. There are also packaged dry cricket food blends available. These products are good and I will add them into my mix of fresh feed foods. Make sure to wash you greens and vegetables before feeding them as they often carry pesticides from the farms. Avoid spinach completely it is dangerous and while the occasional use of iceberg lettuce is OK it is not nutritional dense enough to sustain care. Other Insects: Variety is a good thing and mixing other feed items in moderation is beneficial. 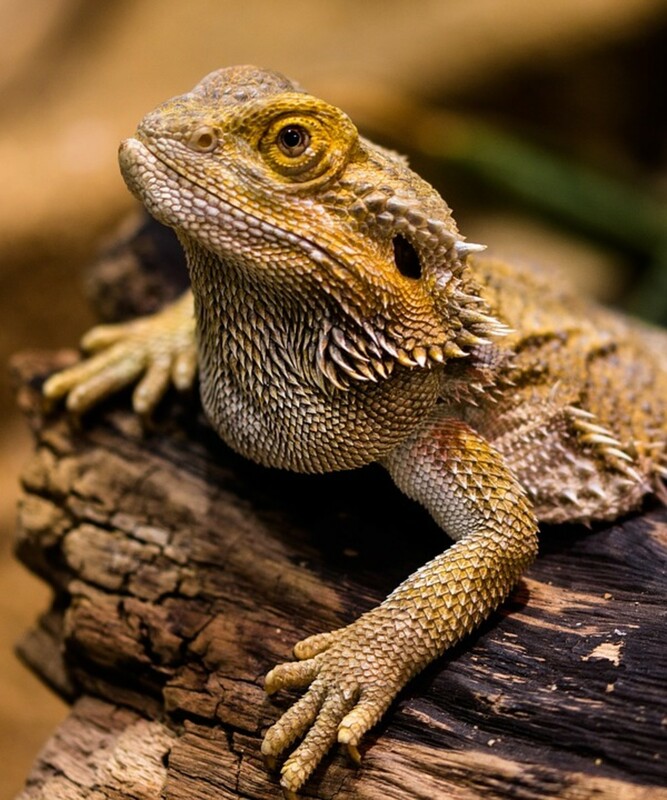 Many stores carry a variety of insect option to add to you bearded dragons diet. For Adults I like Wax Worms (moderation), Earth Worms, cockroaches (Captive Raised). Super worms and the occasional meal worm for adults is fine, the hard shells still carry an impaction risk if used too frequently. I have had bearded dragons that can not process them and have had severe impaction resulting in death. For Juveniles crickets should be small and increasing size as they grow. I will use the occasional wax worm or small cockroach but never meal worms or superworms. Unaware store employees will often recommend them not knowing the risk they pose to small juvenile bearded dragons. Juveniles should be fed a few crickets daily. They will gorge themselves and overeat if you let them. 3-4 a day to start and increasing as your lizard grows in size. I would add small amounts of romaine lettuce from the start. Some will eat it, others will avoid it for some time. Eventually all will take on eating greens of some kind. As mentioned above the greens will make up the bulk of their water needs. Make sure your greens are chopped into appropriate sized pieces. While it may be cute watching a small dragon chow down on a big leaf, and they can do it, this can caused blockage and impaction issues. Sub Adults will start balancing more between greens an insects. Since they are still growing I recommend feeding crickets every day. Up to 1 dozen a day. I would also make sure greens and other vegetables are available daily. Like human teenages they are growing and always hungy. It is safe to start mixing in other vegetation at this age. I like using a little Kale or Dandylion greens. I will also add small amounts of shredded carrot or squash. They do enjoy the occasional strawberry or melon pieces. There are mixed recommendations for feeding adults. I find that mine do very well with an insect feeding every two to three days of about 1 dozen crickets. I do add fresh vegetation to the cage daily. Some will eat it every day, others will pass on it for a few days. Others recommend much higher rates of insect feeding. I have seen no degradation in health or weight with the lighter feeding schedule over the years. My dragons are alert, thriving and healthy. How many bearded dragons do you own? I know people say it is not possible, but these lizards have personality. Every one I have ever owned has had unique quirks. I would go as far to say as they Love spending time with their owners and interacting out of the tank. There have been a few that will almost get excited and claw at the glass if I walk in the room, knowing that I will pick them up and walk around with them. The point is start handling them when they are young and don't stop! 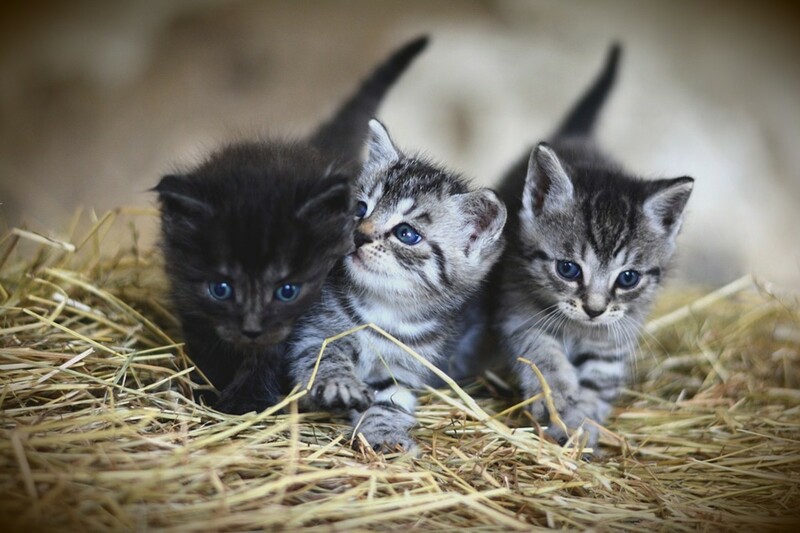 You will have an animal that is a pleasure to own and enjoyable to watch him explore. Little Dragons will Skydive, so stay low to the ground with a firm and secure grip. Never pick up by the tail! Always support under the front and rear legs. Do not handle in if in a bad mood. If thread displaying or tail lashing occurs then come back later. As juveniles grow they get hormone rushes that can caused bad moods. If outside use a leash. Leashes are available and work well if out in a yard. Birds and cats eat lizards, enough said! They like sitting at window looking outside, mine can do this for hours. Don't leave unattended ever! While they often sit still, when they decide to move they are FAST! they also hide well when they want to. Let others pet and handle often. Don't overdo it.. Handle them often but make sure they get long breaks as well. Like any other pet there are many things that can go wrong. Too many to list out in full. Here are the common ones and what to do as first steps. Impaction: This happens when the bearded dragon eats things that do not pass though the digestive tract well. Sand, Bark, Gravel, Mealworms etc. Impaction presents itself in a few ways. A bump and swelling will from over the rear hips, as their digestive track runs over top. The lizard may loose the use of one or both rear legs. They will appear paralyzed. Writhing in agony will occur if impaction becomes severe. What to do: Act Quickly with warm(not HOT) soaks of the rear of the animal may help encourage movement. Sometimes soaking 2-3 times a day. Gentle massage of the area can be done as well, but you must not overdo it as too much can have negative effects. Depending on the size and age this condition can deteriorate very quickly. I would if no movement in a day or two I would seek veterinary care. Respiratory Infections: These occur when the animal is exposed to cold drafts or temperatures for too long. The lizard will often become listless and sluggish. You will notice drainage or discharge from the nose and often mouth breathing. What to do: raise the tank temperature and find and eliminate the draft problem. It it done not clear in a few days then veterinary care may be required. Toe or Toenail Infections: These can occur if the toe or nail becomes damaged. Often strands of bark fibers or synthetic fibers from "tank carpets" will wrap around a toe cutting off circulation. The toe will appear swollen and pink, with scales commonly flaking off. What to Do: Immediately check the area for something wrapped around the toe and remove. Clean and soak the area in warm water. Treat with antibiotic ointment. It is common to lose the toe, they sort of just fall off and heal over with new scales. Look for signs of spreading infection and seek veterinary care if needed. Seizures: You may find you lizard spazzing out in a Seizure and gaping at the mouth. It appears to come an go. if you have ruled out impaction then you may want to consider vitamin deficiency. As I mentioned above they need full spectrum lighting to make and process vitamin D. If the light is not powerful enough, is worn out or is too far away this will create a deficiency. This deficiency can lead to seizure like behaviour. What to Do: Replace the full spectrum light bulb and position closer to allow maximum exposure. make sure your crickets are gut loaded and dusted and add variety to the vegetable mix. You should notice your lizard hanging out under the lamp very frequently. If the condition does not start to improve after a few days, seek veterinary care. They are awesome lizards and can be a joy to own. I wanted to make basic care easy and give new owners or those considering buy a bearded dragon a good overview of what to expect and how to avoid some common beginner mistakes. Thank you for the kind words and for sharing. So much information about a very unusual pet. I have a friend who has two bearded dragons and they are great, I enjoy holding them when I visit. Thanks for sharing your knowledge about them, voted up and interesting. Also shared.